MOSCOW, January 18. /TASS/. 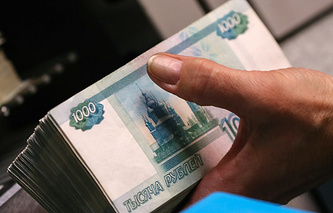 The Bank of Russia increased monetary gold reserves by record-breaking 8.8 mln Troy oz. or by 273.7 tonnes, to 67.9 mln oz. or 2,100 tonnes, the regulator said on Friday. The value of gold in reserves of the Central Bank reached $86.9 bln as of the year-end. The regulator purchased 7.2 mln oz. of gold in 2017, and 6.4 mln oz. in 2016. Gold accounted for more than 18.5% of the total amount of international reserves valued as $468.5 bln as of the end of 2018, according to data of the Central Bank.